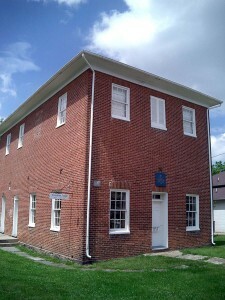 Harris McGarrah, Past Master and 27-year member of Lovettsville’s current Freedom Lodge 118, will give a presentation to the Lovettsville Historical Society on June 12, on the formation and the history of Freedom Lodge 199 – Lovettsville’s first Masonic Lodge. “It seems extraordinary that there would be enough men who would be interested and solvent enough to form a Lodge, at a time when this area was still in disarray after the conflict,” says McGarrah. Many of the names of the charter members will be familiar to anyone who has looked at history of Lovettsville and the surrounding area. Just who were these men? What was their role in the community, and their influence on it? What were they doing during the Civil War? For more information, email events@lovettsvillehistoricalsociety.org.